﻿​ Hardwood floors can last a lifetime if maintained properly. Although they are extremely durable and sturdy, they are not indestructible and may need repair from time to time. 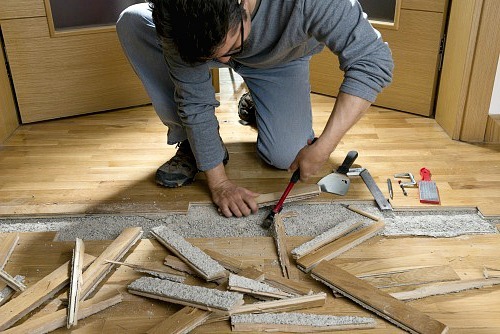 Whether your floors look dull and lifeless, have areas with splintered wood or if you have water damage from spills or a leak; we can take care of you. If your floors are squeaky, or you have pets who have caused damage to your flooring, Sandy Springs Hardwood Flooring has the knowledge and expertise to help you repair your floors without the need to replace them entirely. 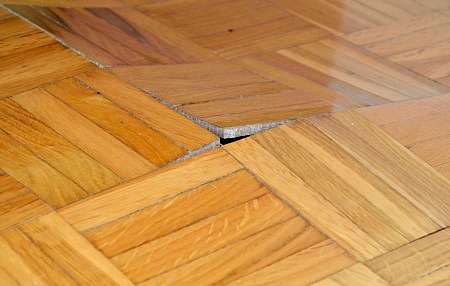 We can restore your floors to like-new condition with our quick hardwood repair service. Just give us a call at (404) 341-7071 and one of our local flooring contractors will repair the damage at a price you can afford. How often your hardwood flooring should be repaired depends on how much traffic they see on a day to day basis, where they are located in your home, and how much care and maintenance they receive. ​ We’ve seen it all when it comes to the damage that can affect hardwood flooring, from structural issues to cosmetic issues. Shoes and pet claws can scratch the surface of the floor and water can rot the floors or leave permanent marks, moving furniture can scratch or chip the wood, and everyday use can wear down the wood. Luckily, we have a solution for each of these problems! Contact our team of professionals today! Call (404) 341-7071 today! ​ No matter what shape your hardwood floors are in, our experienced hardwood floor contractors will know exactly what to do to restore your floors to their original glory and shine. Our repair services include sanding, waxing, buffing, staining, sealing, filling deep gouges with wood putty, replacing planks or boards, and more. Buckling: Typically caused by water leaks or high moisture, the flooring pulls up from the subfloor, lifting up several inches in one or more areas. Cupping: The edges of the board become higher than the center, usually occurring from water damage or high humidity that causes the wood to expand and crush the boards together. Crowning: The opposite of cupping, the edges of the board are lower than the center. This is also caused by moisture or humidity exposure in which the boards were not given the proper time to dry. Cracks between boards: During the winter months when the heat is blasting, the humidity in your home drops significantly and causes the boards to constrict, leaving spaces between the boards. No matter what type of damage your wood floors may have, Sandy Springs Hardwood Flooring will bring your floors back to life in no time! Don’t let the embarrassing appearance of your floors keep you from inviting guests over any longer. Call us today!